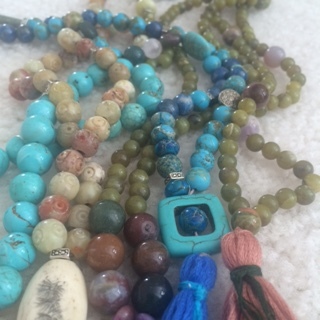 $108 includes retreat tuition, gemstone beads, and all mala necklace making materials! Spending time in restorative poses with personal soulful questions about dreams and desires is an essential step in manifesting what it is that we want for ourselves. And, the act of crafting something of beauty in a Women’s Circle is a powerful way to weave intentions into a symbolically tangible keepsake. Join us and enjoy so many elements that will relieve your stress, inspire you, and fill your emotional well as you move forward into a fulfilling new year. 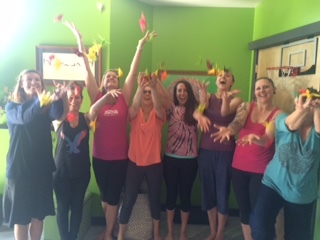 *Unlimited laughter from the Women’s Circle in a sweet space at Barefoot Works, a.k.a The Yoga Tree House! Your facilitators: Lisa and Fran are sisters who love working together to create meaningful group experiences for women. 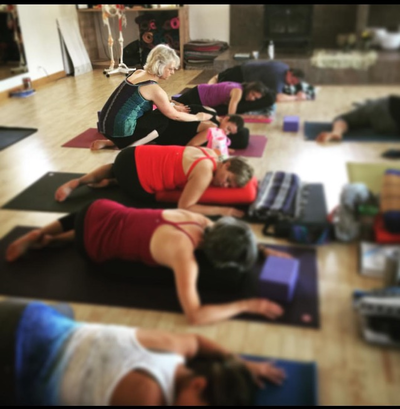 In their expert care students connect with deeper aspect of self and soul in order to move forward with perspective and balance. Lisa M. Miller, M.A, RYT 500, is a master at guiding participants into deep personal healing. She leads individuals to uncover and connect with their own essential strengths—the natural soul qualities they were born with—while also contributing to the healing essence of the entire group. A women’s retreat specialist, and a mind-body health therapist, Lisa is passionate about helping other women thrive. She’s a certified yoga teacher, an ordained inter-faith chaplain, and holds certifications from the Chopra Center in Meditation and in Ayurveda. In order to assemble your Mala Necklace Kit, pre-registration is necessary. Contact FranVMorris@yahoo.com, or Lisa at 859-227-4101, for registration details.